Autumn means nicer weather, lots of color, and plenty to celebrate! There is no match to Autumn like the curiosity and inquisitiveness of a toddler. I decided to assemble this list of ideas that you can do with your tot! For me, this is also the first year that M can walk. Last year, as he turned one, I waited anxiously for him to let go, as he had been cruising for a while already. But, he wouldn’t actually walk until nineteen months. This prevented me from taking him outdoors as much as I wished. This year, I am determined to cover as much of this autumn bucket list for toddlers as possible – especially the outdoor activities! 1. Rake a pile of leaves with your tot. 2. Jump in the leaves. 3. Take beautiful photos while your toddler is jumping. 4. 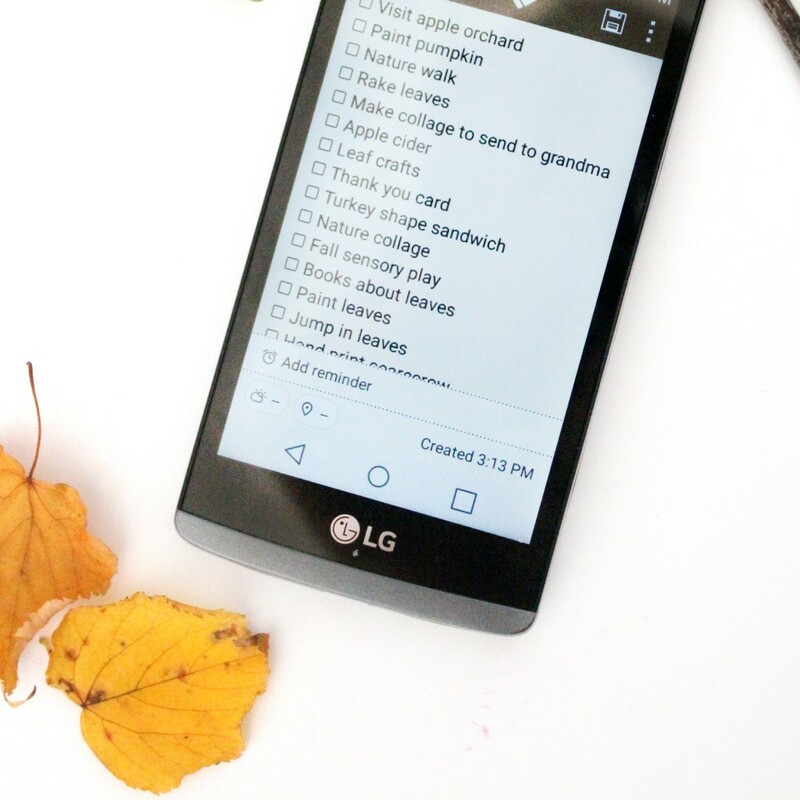 Let your toddler help you send those photos to grandparents abroad, who don’t have fall leaves. 5. Print those photos using an easy photo printing app, and make a photo collage with your toddler. 6. 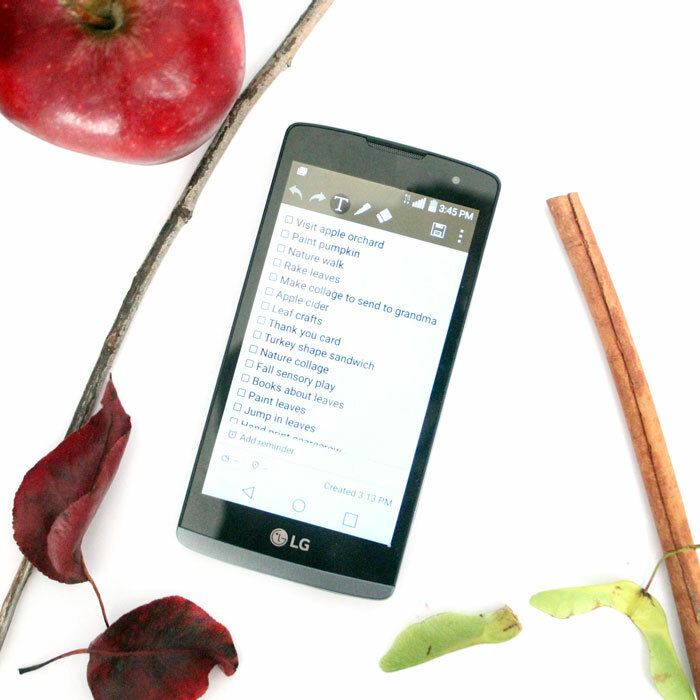 Scour Pinterest for Fall craft ideas. 7. Make a Fall hand print craft. 8. Go on a nature walk. 9. Practice the colors of the leaves you find while walking. 10. Collect natural items to craft with. Make sure to get plenty of pine cones, acorns, twigs, and colorful leaves. 11. Make pine cone pets. 12. Drill a hole in the acorns and string them. 13. Paint twigs and stick them in a vase. 15. Make a nature collage. 16. Make a fall sensory jar. 17. Try some fall leaf sensory soup. 18. 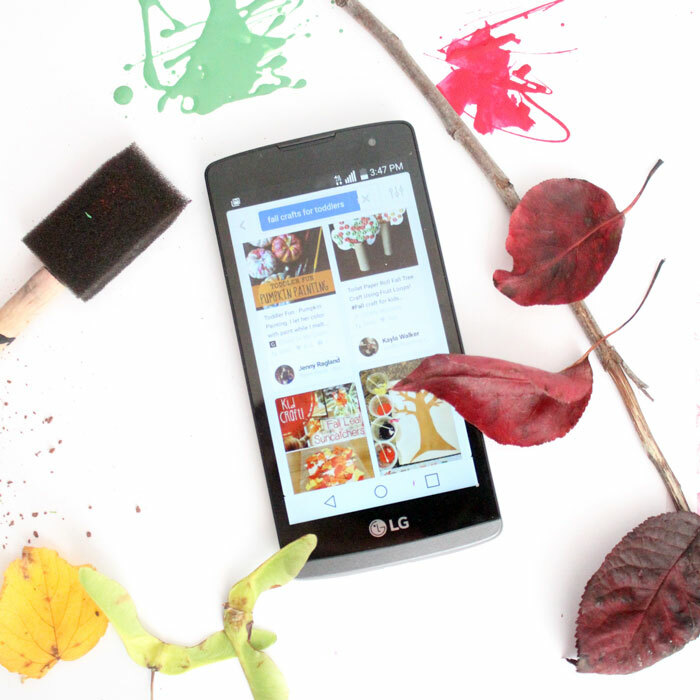 If you don’t have colorful leaves near you, paint some leaves in autumn colors. 19. If you don’t have leaves to rake, try some pretend play. 20. Color some free Fall-inspired coloring pages. 21. Visit an apple orchard. 23. Go for a hay ride. 24. Go through a corn maze. 25. 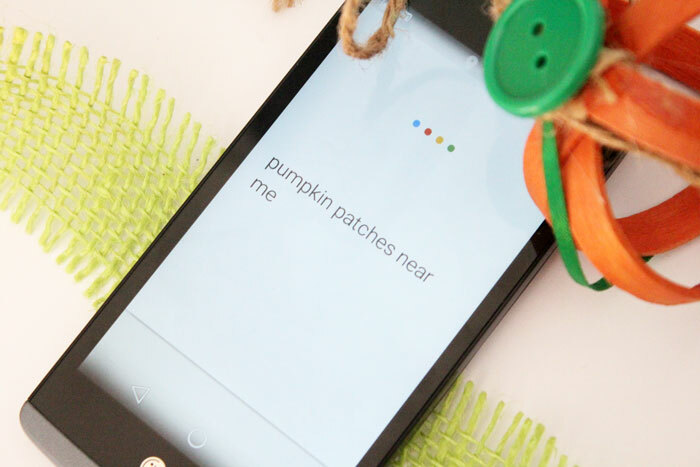 Go to a pumpkin patch. 27. Make pumpkin spice play dough. 28. Try some pumpkin patch pudding cups. 29. Make salt dough leaves. 30. Cut out the center of a paper plate. Glue leaves around it to make a “wreath”. 31. Practice counting with pumpkin seeds. 32. Try a pumpkin scented sensory bin. 34. Paint using Fall spices. 35. Read a book about Fall. 36. Practice fine motor skills and make a not-so-spooky beaded spider. 37. Read a book about gratitude. 38. Give someone else something to be grateful for. Give a donation with your toddler. 39. Call Grandma to thank her for the last birthday gift. 40. Make a “Thank you” card for someone special. 41. Eat a turkey shaped sandwich for lunch. 42. Search for Fall festivals in your area using the Nearify app. 43. Find a new farm to visit using the Field Trip app. 45. Plan a family picnic with other toddler cousins. 46. Make a pop corn kernel sensory bin. 47. Create bright and colorful fall leaf coaster with your toddler. Toddlers love a little decoupage! 48. Check out the Great Pumpkin Charlie Brown app. 49. Try some fall leaf lacing. 50. Try a new type of fruit. 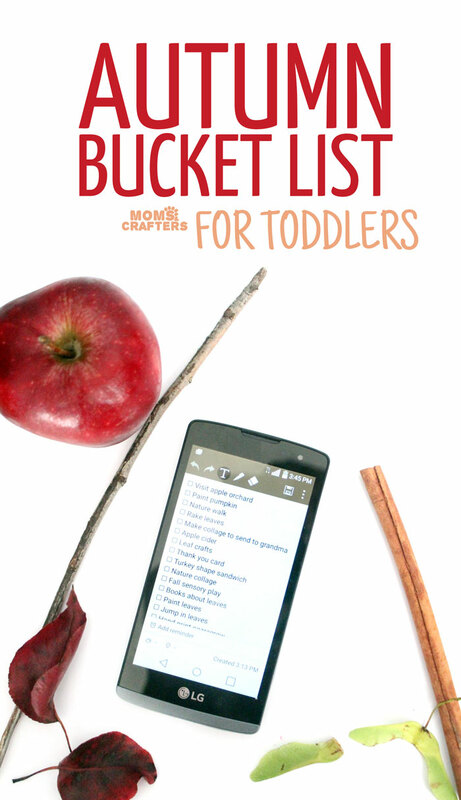 What’s on your Autumn bucket list for toddlers?